How many words can you think of that are words to live by? Words that make you a better person? 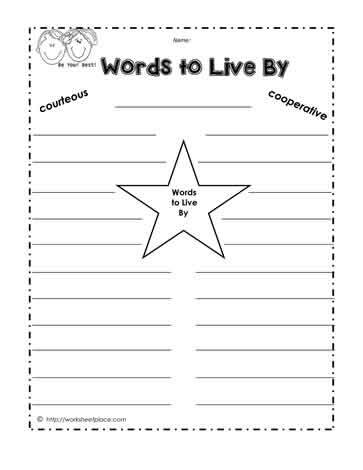 This worksheet askes you to determine all the good character or character counts words you can think of. For instance, words like: empathy, cooperation, manners, respect, responsibility are a few that come to mind. A brainstorm worksheet focused on kind words.